The Lawyers’ Committee for Civil Rights and Economic Justice will again host BizGrow, a free groundbreaking event designed to connect dozens of existing and potential small business owners with free legal and business support. 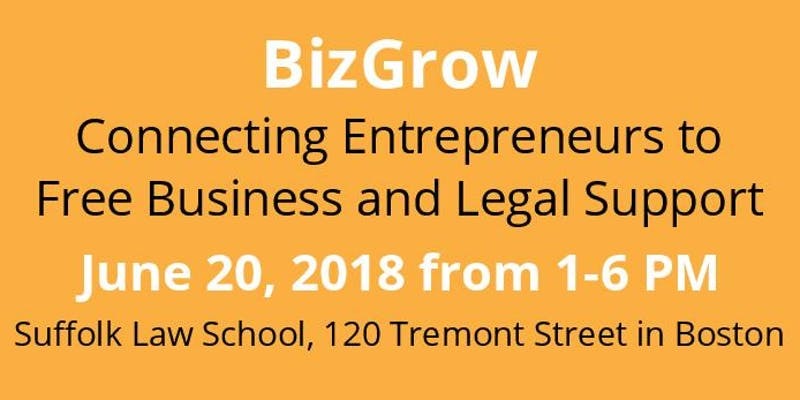 BizGrow will feature a large team of pro bono attorneys from Boston’s top law firms who will be joining forces to assist entrepreneurs with big dreams but limited resources. Volunteer attorneys will provide small business owners with free one-on-one legal consultations to discuss their legal questions or issues concerning their small businesses. In addition, volunteer lawyers will lead workshops addressing legal topics of particular interest to small business owners, such as entity formation, intellectual property, tax, employment, and leases and other contracts. Executives from a number of area companies will lead discussions regarding important business issues that confront small businesses such as finance, insurance, marketing, and e-commerce. Business owners will be free to move between one-on-one consultations and legal and business discussions and workshops. Business owners who are interested in receiving ongoing legal assistance may be referred to law firms for pro bono counsel.